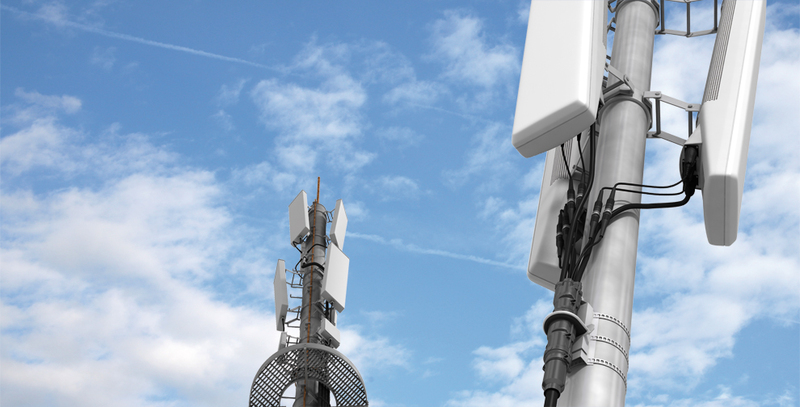 For the last year, AT&T has been working on their small cell and DAS technology that will allow the company to provide capacity in densely populated areas where a macro cell site just wouldn’t work. According to GIGAOM, “After a year of testing small cells in every way imaginable, AT&T is ready to begin its large-scale rollout of the technology. The tiny base stations will boost bandwidth in the high-demand places with surgical precision. The man in charge of the rollout, AT&T Associate VP of Small Cells Gordon Mansfield, has been testing out small cells from numerous vendors in every configuration imaginable. He’s mounted them to walls, on ceilings and hung them off utility poles. Continue reading here. Spectrum is a word that’s been tossed around a lot these past few months, but what exactly is it and why should you, as a tower professional, care? Marguerite Reardon of CNET explains exactly how spectrum works, “Wireless operators, such as AT&T and Verizon, cannot transmit wireless signals over the same frequencies in the same markets at the same time. The Federal Communications Commission is the government agency that keeps track of who’s using which slivers of spectrum. Analysts are less certain how much United States operators will spend this year as market leaders Verizon and AT&T have largely finished building their 4G networks, leaving them to add further capacity when customer demand requires it. While these two companies have the majority of their 4G LTE deployments completed, it doesn’t mean the other companies are finished just yet. 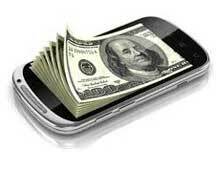 Reuters reported, “Others want to catch up on 4G to compete. Third-largest operator Sprint plans to spend $8 billion this year and next on a major network upgrade. Backed by Japan’s Softbank, Sprint chose Alcatel, Nokia and Samsung as suppliers, dropping long-time vendor Ericsson. Crown Castle International completed a deal last week with CPS Energy to acquire their communication towers for $41 million. CPS Energy plans to use these proceeds to pay off existing debt. “Managing cell tower assets, which includes leasing space to other companies, is not part of our core business, so after analyzing our options, it became clear selling would be the most beneficial for our customers,” said Fred James, senior vice president of energy delivery services. CPS Energy began building towers in the 1990s to fulfill its communications needs, because during that time there weren’t towers available to lease space on. Instead of constructing more towers or adding equipment to current towers to increase coverage, T-Mobile plans to use VoLTE and low frequency airwaves to achieve their goals. T-Mobile is ranked 4th among U.S. mobile carriers and is often criticized as the network with the worst service. The most obvious way to fix this problem is to build more towers, but that’s not how T-Mobile intends to achieve this goal. 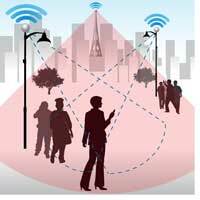 Some people only see the personal benefit to wireless technology, it makes it much easier to conduct business on the go, keep in touch with your friends, and stay current on world events. However, a reliable wireless network is important to a community for more than just those reasons. It can save lives. Alcatel-Lucent published a case study regarding a multi-jurisdictional emergency communications network in the St. Louis area. “A reliable communications network that responders know to go to and use in the event of an emergency is our benchmark for the St. Louis region,” said Nick Gragnani, executive director of the St. Louis Area Regional Response System. Crown Castle International announced yesterday that they began operating as a Real Estate Investment Trust (REIT) on January 1, 2014. Crown Castle received an opinion dated December 31, 2013 from each of Skadden, Arps, Slate, Meagher & Flom LLP and Cravath, Swaine & Moore LLP, which firms advised Crown Castle on its REIT conversion, that Crown Castle will qualify as a REIT as of January 1, 2014. According to the company, “Crown Castle expects to take certain steps and corporate actions in 2014 in order to facilitate continued operation as a REIT, which may include seeking adoption of certain charter provisions that implement certain standard REIT-related ownership and transfer restrictions. While it’s been highly debated whether or not the FCC would approve a merger between the third and fourth major mobile carriers, there’s reason to believe that this deal could go through. Despite the fact that AT&T’s proposal to buy out T-Mobile was denied a little over two years ago, industries are changing and Sprint is in a completely different position than AT&T. Oligopolies may have been something that were frowned upon years ago for fear of reducing competition, that isn’t the case these days—as recently illustrated by the airline industry. The top 5 airlines in the United States are Delta Air Lines, United Airlines, Southwest Airlines, American Airlines, and US Airways. A few weeks ago American Airline and US Airways partnered, taking their number of enplaned passengers from 91,153,375 and 54,204,283, respectively, to total 145,357,658, which surpasses Delta’s year to date number of enplaned passengers and their fleet size. American Airlines and US Airways are in similar positions to T-Mobile and Sprint when looking at the mobile carrier market. Neither of these companies is at the top, but they are certainly close. 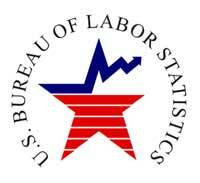 Before the year ended, the Bureau of Labor Statistics issued its ten-year employment outlook projections, which illustrated the significant role broadband networks play in U.S. economic growth, job creation, and global competitiveness. According to Patrick Brogran at U.S. Telecom, “The broadband network industries today employ approximately 850,000 Americans in high-wage jobs today. While network industry employment is projected to decline in the next decade employees to just over 800,000 jobs, it is declining at a dramatically lower rate than it did from 2000-2012, when it lost 600,000 jobs. According to US Telecom, “U.S. households are continuing to “cut the cord” and replace landline telephones with wireless voice service, according to the latest data from the Centers for Disease Control (CDC). Although the CDC data showed some slowing in cord cutting, wireless-only households are on track to reach between 43 and 45 percent of all telephone households by the end of 2013.These data provide ongoing support for USTelecom’s view that providers of traditional telephone service are no longer dominant in the provision of voice communications.